I see a lot of people lightly tossing the word senile around today. Senile was what they called Alzheimer’s before it had been officially diagnosed as a disease. There were other dementias that came under the heading of senility, the various neurodegenerative illnesses that sometime accompany old age, but Alzheimer’s is by far the most common, an epidemic becoming a pandemic. The number of cases is definitely increasing, doubling since the year 2000, though as with all neurodegenerative diseases Americans find it very uncomfortable to acknowledge. Indeed, it’s rarely mentioned anymore in celebrity obituaries. I remember that Mary Tyler Moore died of Alzheimer’s. That is about the only celebrity death from Alzheimer’s this year in which was mentioned in the media. It certainly was not the only one. You can figure that a full third of celebrities in their eighties or older either died of or with Alzheimer’s. So there is a disconnect in America in the awareness and recognition that Alzheimer’s kills millions of people annually, even when the incidence has doubled in the fifteen years. Researchers don’t know why it has doubled, but you’d think a galloping increase like that would send the nation into a panic. Instead it’s had the opposite effect. The more common it becomes, the more we pretend it isn’t there. People used to talk about Alzheimer’s, obituaries used to list it as the cause of death. You can find all kinds of lists of celebrities who died of Alzheimer’s yet oddly, they list very few from the past few years. It’s a secret condition now, embarrassing, shameful. And at the same time Americans stopped talking about Alzheimer’s you started seeing a lot of comments on Facebook about so and so (usually a celebrity or politician) being senile. It’s been a while since people have bandied the term senile about so freely. It used to be very politically incorrect. Because when you joke about someone being senile you are generally joking about them having Alzheimer’s. After all, senility is an obsolescent term for Alzheimer’s. But Alzheimer’s isn’t funny, we’ve all seen it, all known someone with it. And a lot of us will die of it. The longer people live, the more will die of or at least with Alzheimer’s. Most people live into their 80’s now, and one out of three of them will have Alzheimer’s. As other causes of death are reduced the number of people killed by complications from Alzheimer’s will only increase. That is the reality. Now I admit it’s not as funny as calling some old person senile. Not that I’m telling people what they can or cannot say. I make no judgments. Feel free to call old people senile. But it is funny when people who are so hypersensitive about other slurs make unintended Alzheimer’s slurs on Facebook. I read the comments and wonder how they forgot just what senility means. It’s almost like they’re senile. 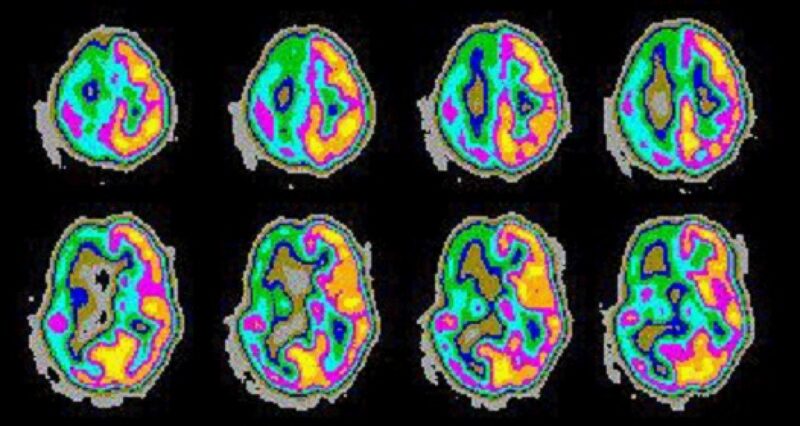 This entry was posted in brain, disease and tagged Alzheimer's, dementia, senility. Bookmark the permalink.